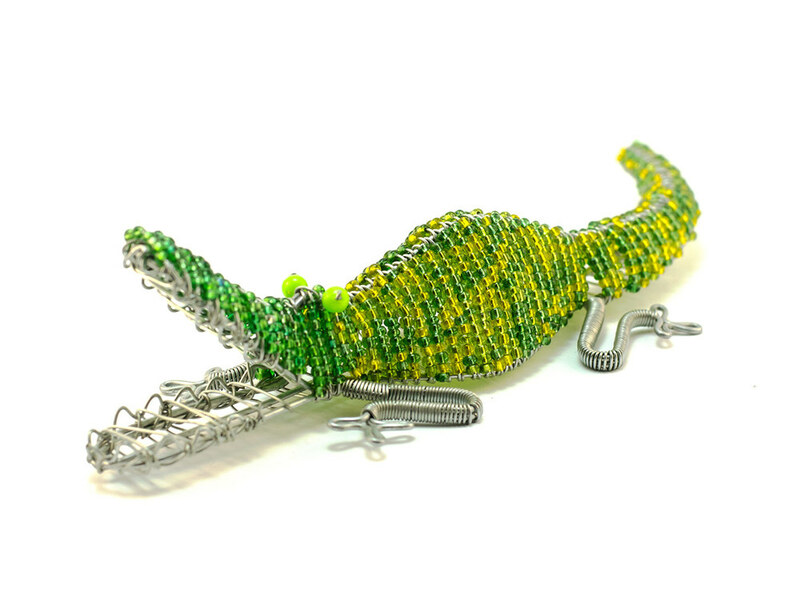 This toothy Crocodile is handmade using wire and glass beads. 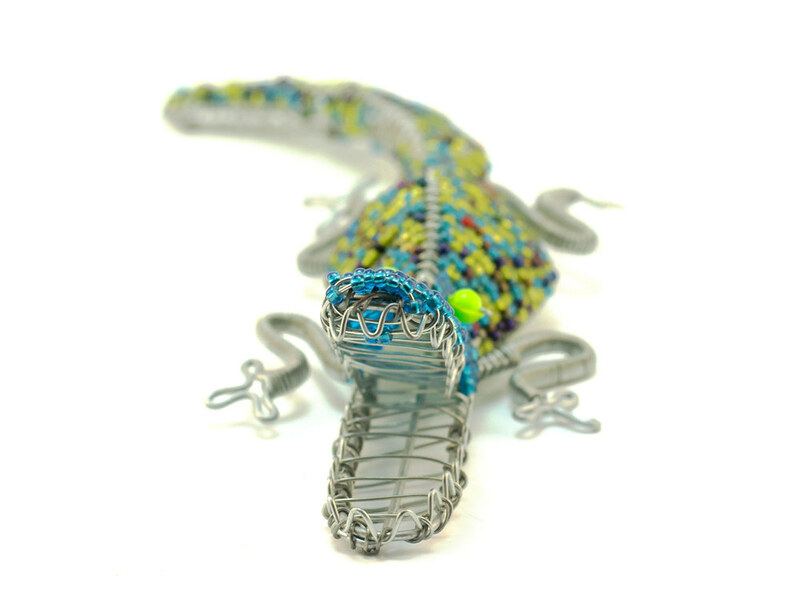 Skilled wire artisans frame the croc and Zulu Beaders carefully apply beads on wire which is wrapped around the 3D wire frame. Beaded colour combinations in cool colours (blues and greens) and warm colours (reds, golds and oranges).